Sue Irwin is a full-time Realtor serving buyers and sellers in the greater Santa Barbara area, including Carpinteria , Carpinteria and Carpinteria . She is adamant about providing no-nonsense information about the local market and the towns and neighborhoods in and around Santa Barbara, and she maintains a down-to-earth attitude to get the job done. She is patient and enjoys getting to know her clients in order to best help them reach their goals. 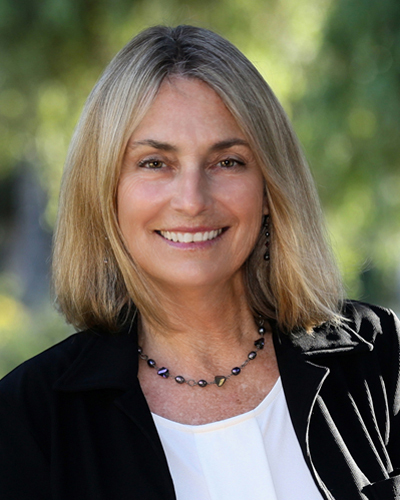 Her straightforward approach has lead her to be among the top-selling real estate agents in the Santa Barbara area. One of Sue’s biggest goals is promoting professionalism among Realtors so homebuyers and sellers get the service they deserve from dedicated and skillful real estate professionals. To this end, Sue served on the Board of Directors of the Santa Barbara Association of Realtors and was Chair of the Association’s Education Committee, which brings seminars to local Realtors on topics such as customer service, understanding contracts and the duties of a Realtor, and legal updates specific to the real estate industry. Sue is currently the Chair of the Statistical Review Committee, and writes updates for the local newspapers several times a year. The real estate market and home lending industry is in constant flux, and Sue regularly pursues continuing education opportunities to keep herself on top of market trends, new regulations, and how changes affect her clients' real estate experiences. Aside from attending numerous classes and workshops throughout the year, she has earned designations as a Short Sale and Foreclosure Resource, GREEN real estate agent, Accredited Buyer Representative, Senior Real Estate Specialist, and Certified Residential Specialist. "I enjoy being as knowledgeable as possible about the real estate industry, and passing along what I have learned to my clients so they can make informed decisions about buying and selling property," Sue comments. "Instead of a sales pitch, I provide my clients with information I gain from daily experience in the field, which they can add to their own research about the market online. I want my clients to feel confident about their decisions and to understand the process of buying and selling. Ultimately, this helps us avoid surprises along the way so transactions proceed as smoothly as possible." Sue Irwin can be reached at 805.705.6973 or by emailing SueIrwinRealtor@gmail.com.